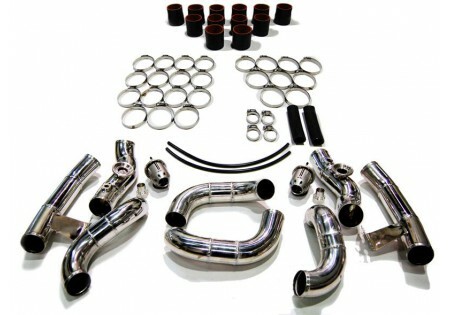 AAM Competition is very pleased to introduce the AAM Competition GT-R Intercooler Piping Kit. Made from high quality, durable air-craft grade aluminum, the AAM Competition Polished Intercooler Piping Kit is another great bolt-on modification. By switching to an all hard pipe aluminum set-up, increasing the piping diameter in certain sections, smoothing out transitions, and adding twin HKS SSQVs, we were able to increase throttle response and overall engine performance, plus give the GT-R's engine bay a show car shine. 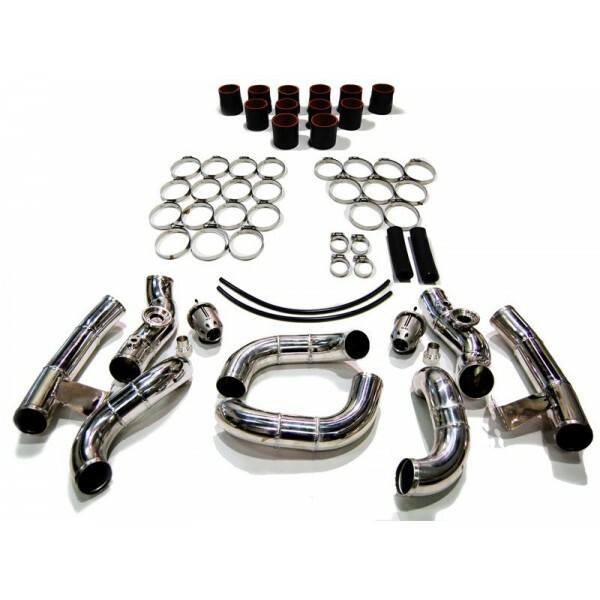 The AAM Competition Intercooler Piping Kit comes with Twin HKS SSQV Recirculated Blow Off Valves.